Liber LII Manifesto of the O.T.O. Liber LII Manifesto of the O.T.O. • Annotated Liber LII Manifesto of the O.T.O. The Antient and Primitive Rite of Masonry (33○). The Rite of Memphis (97○). The Rite of Mizraim (90○). The Ancient and Accepted Scottish Rite of Masonry (33○). The Order of the Sat Bhai, and many other orders of equal merit, if of less fame. It does not include the A∴A∴, with which august body it is, however, in close alliance. It does not in any way infringe the just privileges of duly authorized Masonic Bodies. 2. The dispersion of the original secret wisdom having led to confusion, it was determined by the Chiefs of all these Orders to recombine and centralize their activities, even as white light, divided in a prism, may be recomposed. It embodies the whole of the secret knowledge of all Oriental Orders; and its chiefs are initiates of the highest rank, and recognized as such by all capable of such recognition in every country in the world. The names of women members are never divulged. It is not lawful here to disclose the name of any living chief. It was Karl Kellner who revived the exoteric organization of the O.T.O. and initiated the plan now happily complete of bringing all occult bodies again under one governance. The letters O.T.O. represent the words Ordo Templi Orientis (Order of the Temple of the Orient, or Oriental Templars), but they have also a secret meaning for initiates. 3. The Order is international, and has existing branches in every civilized country of the world. 4. The aims of the O.T.O. can only be understood fully by its highest initiates; but it may be said openly that it teaches Hermetic Science or Occult Knowledge, the Pure and Holy Magick of Light, the Secrets of Mystic attainment, Yoga of all forms – Gnana Yoga, Raja Yoga, Bhakta Yoga and Hatha Yoga, and all other branches of the secret Wisdom of the Ancients. In its bosom repose the Great Mysteries; its brain has resolved all the problems of philosophy and of life. It possesses the secret of the Stone of the Wise, of the Elixir of Immortality, and of the Universal Medicine. Moreover, it possesses a Secret capable of realizing the world-old dream of the Brotherhood of Man. It also possesses in every important centre of population a hidden Retreat (Collegium ad Spiritum Sanctum) where members may conceal themselves in order to pursue the Great Work without hindrance. These houses are secret fortresses of Truth, Light, Power and Love, and their position is only disclosed under an oath of secrecy to those entitled to make use of them. They are also temples of true worship, specially consecrated by Nature to bring out of a man all that is best in him. 5. The authority of the O.T.O. is concentrated in the O.H.O. (Outer Head of the Order), or Frater Superior. The name of the person occupying this office is never disclosed except to his immediate representatives. 6. The Authority of the O.H.O. in all English-speaking countries is delegated by charter to the Most Holy, Most Illustrious, Most Illuminated, and Most Puissant Baphomet X° Rex Summus Sanctissimus 33○, 90○, 96○, Past Grand Master of the United States of America, Grand Master of Ireland, Iona, and All the Britains, Grand Master of the Knights of the Holy Ghost, Sovereign Grand Commander of the Order of the Temple, Most Wise Sovereign of the Order of the Rosy Cross, Grand Zerubbabel of the Order of the Holy Royal Arch of Enoch, etc. etc. etc., National Grand Master General ad vitam of the O.T.O. 7. The National Grand Master General ad vitam is assisted by two principal officers, the Grand Treasurer General and the Grand Secretary General. There are many other officers, but they do not concern those to whom the present manifesto is addressed. 8. The whole of the Knowledge dispersed among the bodies mentioned in paragraph 2 has been sifted and concentrated in the following degrees. Knight of the East and of the West. Knights of the Red Eagle. VI° Illustrious Knight (Templar) of the Order of Kadosch, and Companion of the Holy Graal. Grand Inquisitor Commander, Member of the Grand Tribunal. Prince of the Royal Secret. VII° Very Illustrious Sovereign Grand Inspector General. Member of the Supreme Grand Council. VIII° Perfect Pontiff of the Illuminati. IX° Initiate of the Sanctuary of the Gnosis. X° Rex Summus Sanctissimus (Supreme and Most Holy King). 9. Every man and woman that is of full age, free, and of good report, has an indefeasible right to the III°. Beyond this, admission is only granted by invitation from the governing body concerned. The O.T.O., although an Academia Masonica, is not a Masonic Body so far as the 'secrets' are concerned in the sense in which that expression is usually understood; and therefore in no way conflicts with, or infringes the just privileges of, the United Grand Lodge of England, or any Grand Lodge in America or elsewhere which is recognized by it. 10. Application for admission to the Order may be made personally at headquarters, between the hours of Ten A.M. and Twelve Noon on week-days, or by letter to the Grand Secretary General. In the former case, applicants should be provided with the Twenty Dollars entitling them to the Third Degree; in the latter, it should be enclosed with the application. The First Annual Subscription is payable on taking the Third Degree; if this is taken after June 30 in any year, only half the amount is due. Subscriptions of old members are due on January 1, but the Brother is considered in good standing, and he does not lose his rights, if it is paid by March 1. Should he fail to discharge his obligation by this date, he ceases ipso facto to be a member of the Order, but may be reinstated on paying arrears and Five Dollars extra. If his lapse extend to the next year following, he can only be reinstated under special conditions, and by the express consent in writing of the National Grand Master General ad vitam. 11. The Constitution, Trust Deeds, Charters, Warrants and all other documents, are exhibited to candidates on their exaltation to the IV°, should they desire it. 12. Besides the free certificate of membership, special diplomas for framing are granted to all members at a uniform price of Ten Dollars. Special diplomas of the IX°, Twenty-five Dollars. 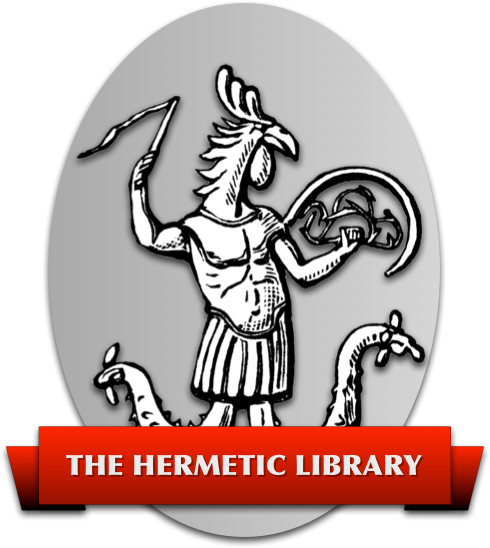 They have not only access to, but instruction in, the whole body of hidden knowledge preserved in the Sanctuary from the beginning of its manifestation. In the lower grades the final secrets are hinted and conveyed in symbol, beneath veil, and through sacrament. In this way the intelligence of the initiate is called into play, so that he who well uses the knowledge of the lower grades may be selected for invitation to the higher, where all things are declared openly. They become partakers of the current of Universal Life in Liberty, Beauty, Harmony, and Love which flames within the heart of the O.T.O., and the Light of that august fraternity insensibly illuminates them ever more and more as they approach its central Sun. They meet those persons most complemental to their own natures, and find unexpected help and brotherhood in the whole world wherever they may travel. They obtain the right to sojourn in the secret houses of the O.T.O., permanently or for a greater or lesser period of the year according to their rank in the Order; or, in the case of those of the Fifth and lower degrees, are candidates for invitation to these houses. The Knowledge of the Preparation and Use of the Universal Medicine is restricted to members of the IX○; but it may be administered to members of the VIII° and VII° in special circumstances by favour of the National Grand Masters General, and even in particular emergency to members of lower degrees. In the V° all members are pledged to bring immediate and perfect relief to all distress of mind, body, or estate, in which they may find any of their fellows of that degree. In the higher degrees the Bonds of Fraternity are still further strengthened. The Order thus affords a perfect system of insurance against every misfortune or accident of life. Members of the IX° become part proprietors of the Estates and Goods of the Order, so that the attainment of this degree implies a return with interest of the fees and subscriptions paid. The Order gives practical assistance in life to worthy members of even its lower degrees, so that, even if originally poor, they become well able to afford the comparatively high fees of the VII°, VIII°, and IX°. On exaltation to the IV° each Companion may file an account of his circumstances, and state in what direction he requires help. 14. In selecting members for advancement, attention is paid to their devotion to the Order, to their intelligence in apprehending the nature of its teaching, to their zeal in spreading the principles of the Order so far as they themselves understand them, though always with the discretion inseparable from the due guarding of the secrets, and to all those qualities of courage, honour, and virtue without which man is not worthy of that name. 15. The O.H.O. is only known to members of the VIII° and IX°. The National Grand Master General ad vitam is not approachable as such by any person who has not reached the VI°. All communications should be addressed to the Grand Secretary General, and all cheques drawn in favour of the Grand Treasurer General.